It’s not everyday that I write about a yogurt. So this one must be special. It is. 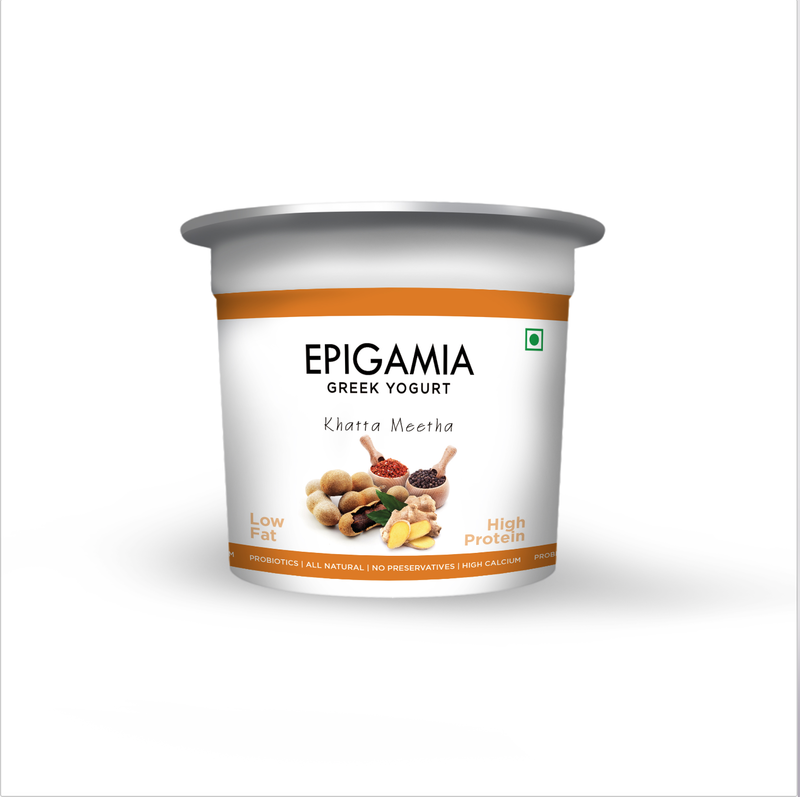 Epigamia, is a low fat, high protein, delectable Greek yogurt, which is going to be available in Mumbai from mid next week at all leading retail outlets. I was fortunate to get a sneak peek into it. Made from an ancient Greek process of straining the yogurt, it is low in fat and calories with double the amount of protein as compared to regular yogurt. The quality of the yogurt struck me as outstanding, as I tried the first spoonful. Thick, creamy yogurt, with the right texture. No trace of anything synthetic, no superficial glaze, as many brands have. There are no artificial sweetners, colours or flavours used in it and that makes it a class apart. I knew I could be sure of the quality immediately as it comes from the Hokey Pokey ice cream stable. The packaging is attractive and convenient. The flavours range is truly startling. The most unusual array I have ever seen. Minty chaat, Imli chutney, khatta meetha, for those who enjoy tangy and tart flavours. But delicious all the same. The Alphonso Mango and Strawberry caught my fancy as did the plain one. Refreshing. One now actually has a healthy option, sans preservatives. It actually satiates your cravings for something sweet. 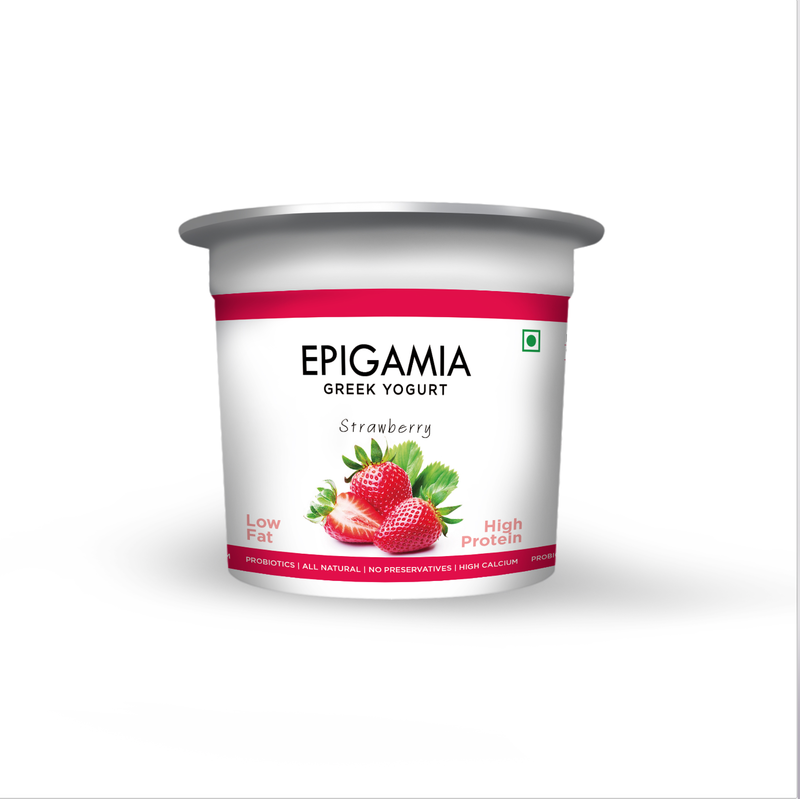 I am so glad Epigamia is a part of the Mumbai yogurt scene. Priced between rs 35-Rs 38, it is a steal.